Please send news, comment and feedback for publication to the Editor, Mike Pitts, at Salon Editor. The Society’s submission to the public consultation on the 2006 scheme supported the proposal for a 2.1 km on-line bored tunnel as the most practicable solution. The new 2017 proposals consist of a 2.9km bored tunnel with new, more southerly route and attendant road alignments west of the tunnel. Read more about the consultation in the editor's article below. "Cambridge University Press would like to offer its profound apologies for the delay in mailing Fellows' copies of the most recent issue of the Antiquaries Journal. This was due to an error on the part of our distribution partner. We regret that this error was not picked up earlier by our own customer services team. The copies were mailed on 18 January 2017 and Fellows should expect to be in receipt of the issue by the end of the month." If any Fellows have not received their copies by early February, please contact Publications Manager Lavinia Porter (lporter@sal.org.uk), who will arrange for a replacement copy to be sent without further delay. While you wait for your delivery of the journal, please feel free to take a look at the digital version of the publication (from the Fellows' Area of our website). The Society of Antiquaries and Cambridge University Press are working together to ensure that the problem will not affect future volumes of the journal. 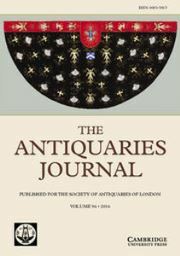 Call for Papers: The Antiquaries Journal is seeking suitable papers for publication in Volume 97, particularly in the areas of history, heritage studies, architecture and art history. Please send submissions to our Publications Manager, Lavinia Porter, on lporter@sal.org.uk. We are sorry to announce that Anooshka Rawden, who has been the Society’s Museum Collections Manager since October 2013 will be leaving the Society to take up the position of Collections Programme Manager with the Science Museum Group. During the three and a half years Anooshka has been with the Society, she has brought order to the museum collection, making the management of it a model of good professional practice, and doing much to engage researchers and new audiences with her enthusiasm and energy. 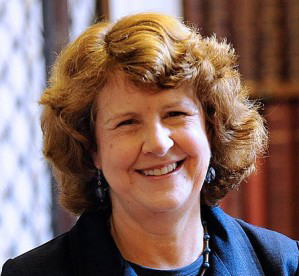 Specifically, She successfully managed the Society through its Museum Accreditation in (2015); she managed the conservation of some of our most iconic objects, including the President’s Cocked Hat, the Regulator Clock and the Falling Ball Clock; she was responsible for developing our forthcoming 2017 exhibition, Blood Royal, for which the Society has received support from the Heritage Lottery Fund. Anooshka has made an invaluable contribution to the Society’s Postgraduate Open Days, as well as introducing highly successful student placement programmes working with our collections. We are grateful to Anooshka for all her hard work and wish her well in her new job. We are currently advertising for the position (see 'Vacancies' at the end of the newsletter). Image: Anooshka Rawden (bottom right) with Fellows, staff and volunteers. The government is conducting a review into the sustainability of Church of England churches. This follows on from the publication of a report in September 2015, and the setting up of a Panel to produce recommendations based on this report, and on further representations. This is the first government review of the future of these buildings. A consultation was opened in December 2016, seeking the views of individuals and organisations who are interested in the future of these buildings. The Society, who responded to the report when it was published in 2015, will not be responding to this current consultation, which is aimed more at gathering information about specific initiatives which might have wider relevance or which could provide exemplars or inspiration. The closing date for responses is noon on 31 January 2017. The Historic Religious Buildings Alliance have created a useful web page. From there, you can access the consultation, and it also tells you more about filling it in. Fellows and readers of Salon who have views which can contribute to this review are urged to respond sharing their ideas and experience. Thanks to the Generosity of Graham Barker. Graham Barker said "Simon Russell Beale is one of the most remarkable actors of our generation and so Joanna and I are delighted to support the Society in the filming of this special occasion. Simon will be performing an extraordinary range of characters from Shakespeare’s history plays. I hope the film will not only provide an opportunity for more people to see Simon’s performance but I also hope it will help the Society raise much needed funds for its unique Library". Only two days remaining for a chance to win two tickets to our sold-out show, Shakespeare and the Character of Kingship: Dramatic Readings by Simon Russell Beale, CBE on 29 January 2017. Thanks to a generous donation from an anonymous Fellow, we are offering you the opportunity to bid for two tickets to this extraordinary event. All income will go toward delivering the Society's Library Development Plan. The auction will close at 8.00 am on Wednesday, 25 January. 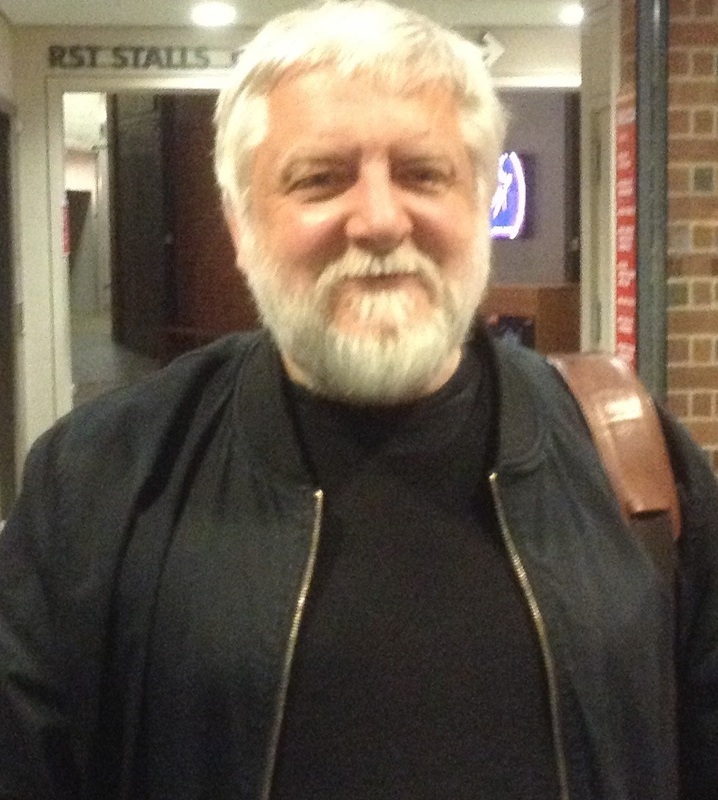 Simon Russell Beale will be performing a diverse range of characters from Shakespeare's history plays including Henry V, Henry VI, Queen Margaret, Edward IV, Queen Elizabeth, Richard III and Henry VII. He said of the forthcoming performance:"It's certainly going to be a challenge, but it's one I am delighted to make to support the Society of Antiquaries". A collaboration between Leonora Saunders and Trowelblazers has created a stunning re-imagining of fourteen historic women from archaeology, geology and palaeontology - including 19th-century Mary Anning, known as the “world’s greatest fossil hunter”. The Raising Horizons exhibition aims to bring to life women from the past at the same time as highlighting contemporary ‘trowel-blazers’. 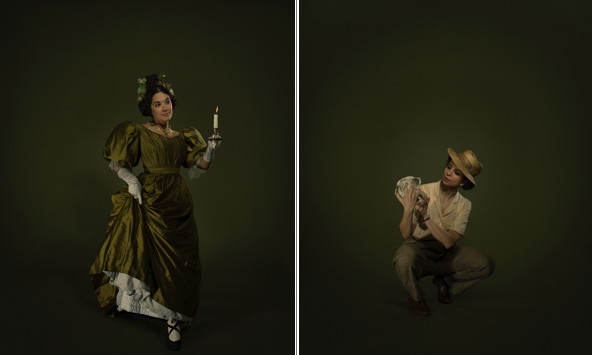 Ranging from the 1830s through to the 1960s, each historic woman is posed by her modern counterpart. Mary Anning’s portrait is based on a contemporary sketch of her working in rough skirts, a top hat and carrying a hammer, unlike the better-known painting from just before her death showing her in her ‘best’ clothes. The new portrait also has a canine guest star, Oscar, standing in for her beloved dog Tray who was killed in a landslide in 1833 while she was fossil collecting. Her modern counterpart is Dr Lorna Steel, specialist in pterosaurs (one of the winged Jurassic reptiles first found by Mary Anning) and Curator at the Natural History Museum, where they have a specimen found by Anning. 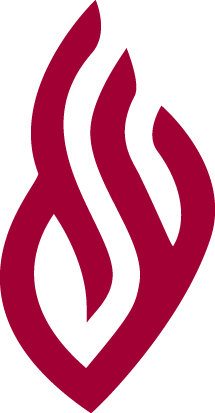 Raising Horizons sponsors: Prospect is a major project supporter, and the UK’s trade union for scientists and other specialists in areas as diverse as agriculture, education environment, and heritage. 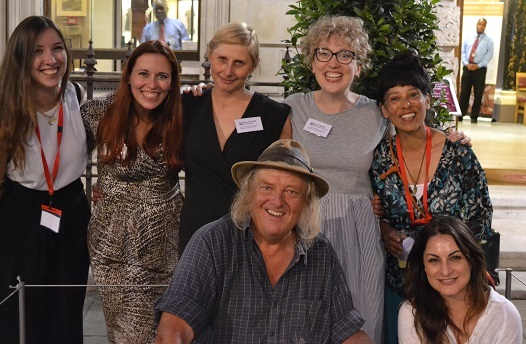 Raising Horizons is also supported by Museum of London Archaeology, Historic England, Geologists’ Association, Society of Antiquaries, Geological Society, Palaeontological Association, Prehistoric Society, Past Horizons, Arklu, Chalke Valley History Trust and Harris Academy Bermondsey. Museums and galleries are the UK’s most popular visitor attractions. Across the country they have been suffering deeply from government policy to cut funding. Many have achieved outstanding successes with their collections, exhibitions and public activities. Yet it took the appointment of a new director to the Victoria and Albert Museum to bring museums to the front of the national news debate. And most voices were interested in the appointee’s previous job. 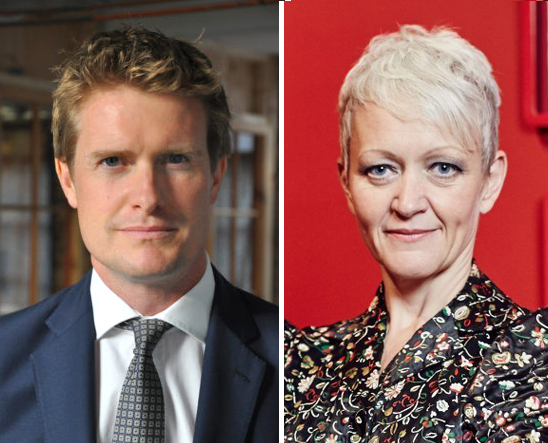 That Tristram Hunt, a Labour Member of Parliament, was to become the V&A’s director was revealed on ITV News on the morning of 13 January by political journalist Robert Peston. The museum issued its press release a quarter of an hour later. The appointment follows the resignation last autumn of Martin Roth, who was unhappy about Brexit. No starting date has been published. Hunt’s appointment, said the Guardian, ‘was a genuine surprise. His name did not crop up in any of the art world gossip which generally precedes big appointments in the sector.’ Among those tipped had been Tim Knox FSA, Director of the Fitzwilliam Museum in Cambridge, and Tim Reeve, ‘the extremely able’ Chief Operating Officer and Acting Director of the V&A. Sandy Nairne FSA, former Director of the National Portrait Gallery, welcomed Hunt, saying, ‘I don’t know Tristram closely but I have known his work in and around the cultural sector and he has been a very strong voice. You think, for example, of his voice in arts and education, his voice in the Wedgwood campaign,’ adding that leadership ‘can come from many different places so this is a really interesting appointment.’ Mark Brown, Arts Correspondent at the Guardian, noted that Neil MacGregor FSA, former Director of the British Museum and ‘one of the finest arts leaders of his or anyone’s generation,’ was a ‘rank outsider … a former university lecturer and editor of the specialist Burlington Magazine,’ when he became Director of the National Gallery in 1987. ‘If I were a Labour MP,’ wrote art critic Waldemar Januszczak in the Sunday Times Culture magazine on 22 January, ‘I, too, would be jumping ship.’ What Hunt has as a trained historian, he says ‘is an instinctive fondness for the past that not all V&A directors have recently exhibited.’ He hopes for a return of ‘the proper scholarship for which your museum is so rightly appreciated.’ In the same piece, Januszczak also welcomes the new Director of Tate, another key arts appointment that surprised many: Maria Balshaw. Writing in the Times, art critic Rachel Campbell-Johnston says that Balshaw, who is Director of the Whitworth (University of Manchester) and Manchester City Galleries, and Director of Culture for Manchester City Council, had been ‘counted among the frontrunners for Director of the British Museum’ (a job that went to Hartwig Fischer last year). Campbell-Johnston describes Balshaw as ‘the driving force of what has felt like a northern renaissance,’ who will now take on ‘what is probably the British art world’s most influential position. The cultural scene has, over the past three decades … flourished spectacularly. She must now guide it through a period that threatens an economic downturn. 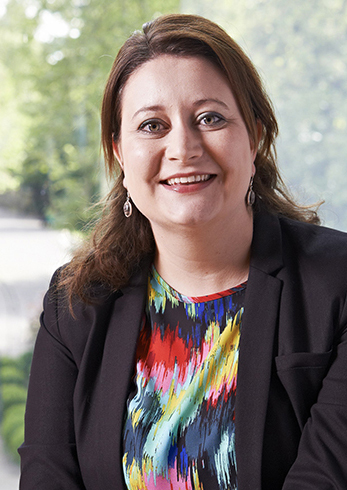 Her ability to charm funds out of a budget-cutting government would appear to bode well for that.’ Tate’s press release details a remarkable catalogue of achievements for what it says will be the gallery group’s first woman director. News of Balshaw’s move was again first released not by the Institution, but a journalist, in this case Jack Malvern, Arts Correspondent at the Times, just a couple of days before Tristram Hunt’s appointment got out. She is about to become the most powerful woman in British art, he wrote, before addressing the personal matter of her family: unless he too finds a high-flying post in London, her husband Nick Merriman FSA will remain in Manchester, where for the past decade he has been Director of the Manchester Museum. He began his career as Curator of Prehistory at the Museum of London in 1986, having studied archaeology at Cambridge University. The picture at top shows images from recent V&A exhibitions: Fashion in Motion: Giles Deacon (2009), Postmodernism: Style and Subversion 1970–1990 (2011), British Design (2012), and You Say You Want a Revolution? Records and Rebels 1966–70 (2016/17). John Lockwood Kipling (1837–1911), writes Julius Bryant FSA introducing a weighty book which accompanies a new exhibition, ‘is part of the fabric of the Victoria and Albert Museum.’ Artist, writer, museum director, teacher, conservationist and influential Arts and Crafts figure, Lockwood has been the subject of a three-year international research project led by V&A Senior Research Fellow Sandra Kemp. Bryant, who is Keeper of Word and Image at the V&A, and Susan Weber FSA, founder and Director of the Bard Graduate Center, New York, have curated the free exhibition, Lockwood Kipling: Arts and Crafts in the Punjab and London (at the V&A 14 January – 2 April). 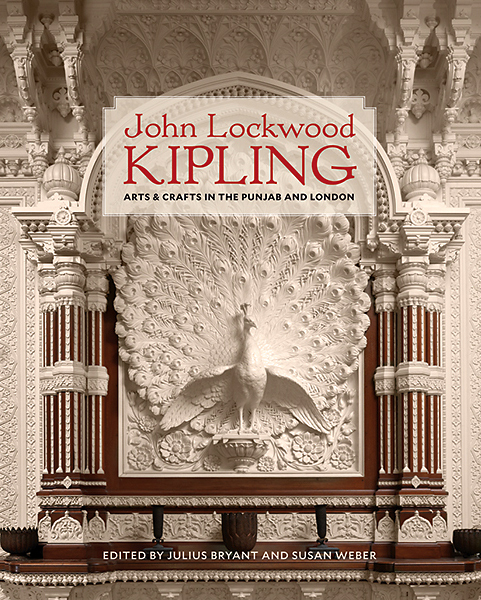 John Lockwood Kipling: Arts & Crafts in the Punjab and London, edited by Bryant and Weber, is published by Yale University Press. The book offers a timely intellectual feast of analysis, information and illustration. Kipling began his career at the South Kensington Museum as an architectural sculptor in 1861 (he trained in the Staffordshire potteries, Tristram Hunt will have noted). This was just four years after the museum first opened, and nearly 40 years before it was renamed the Victoria and Albert Museum. 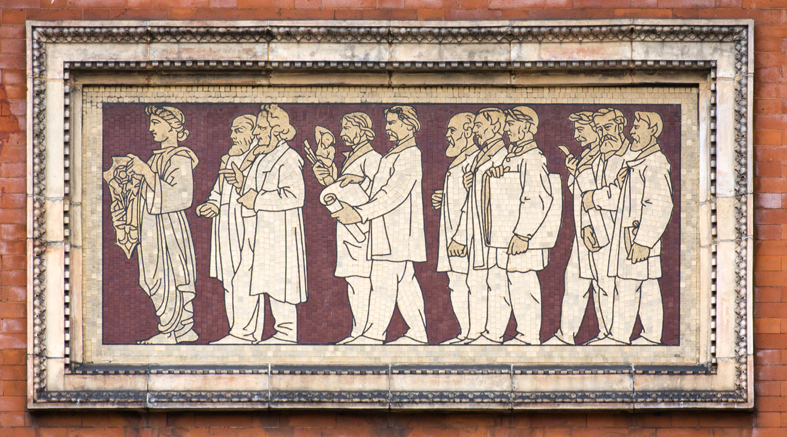 Kipling now parades in a terracotta panel on what was the museum’s original entrance front (1868, at top), featuring ten South Kensington worthies: he is, I think, the fifth gentleman from the front, preceded by the museum’s first director, Henry Cole, its architect Francis Fowke, and Godfrey Sykes, who designed the tiles (the book is not clear, can anyone name all ten?). In 1865 Kipling and his pregnant wife, Alice (née MacDonald), left for Mumbai, then known as Bombay (their son Rudyard was born there). He had a three-year contract to teach architectural sculpture at the Sir Jamsetjee Jeejeebhoy School of Art. He stayed there for a decade, and then spent 18 years as Principal of the Mayo School of Industrial Arts in Lahore (today Pakistan’s National College of Arts) and Curator of the Lahore Museum. The book and the exhibition, through Kipling and his varied talents and interests, bring together a mass of new material to inform inquiry and debate into the creative relationships between imperial Britain and India. Kipling recorded, preserved and inspired in India and shipped to Britain some lovely and precious things; his own art is competent, and valuable especially, perhaps, as documentary illustration. 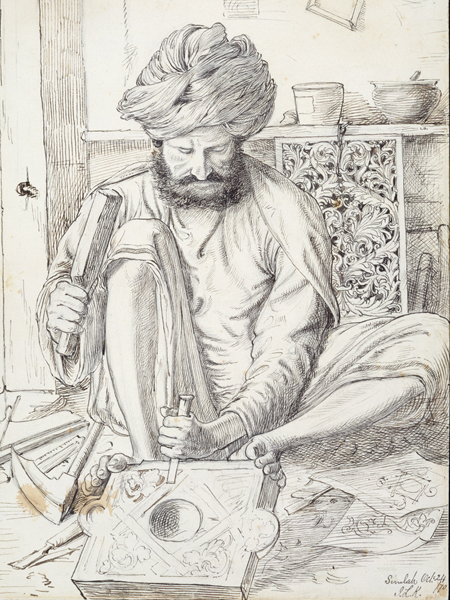 The drawing (detail) shows a woodcarver, from a collection depicting craftsmen of the Indian north-west provinces, by Lockwood Kipling (1870). • Another India: Explorations and Expressions of Indigenous South Asia, opens at the Museum of Archaeology and Anthropology, Cambridge, on 8 March. Proposals for the next two sculptures for the otherwise vacant Fourth Plinth in Trafalgar Square, London, announced on 19 January, include The Invisible Enemy Should Not Exist by Michael Rakowitz. 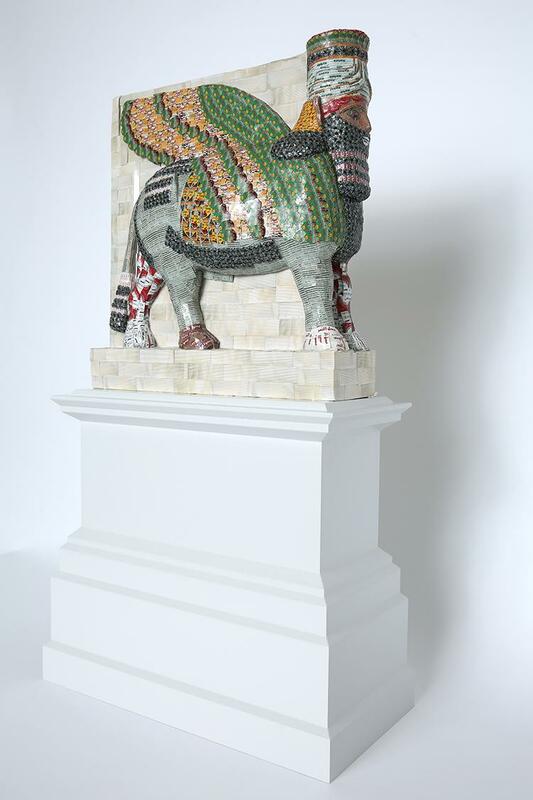 The work would be a recreation of a lamassu, a winged bull with the head of a bearded man, using empty date-syrup tins. Discovered at Nineveh by Austen Henry Layard in 1849, the original was the better preserved of a pair. It was attacked with power hammers by Islamic State in 2015. The Invisible Enemy is a wider project that the artist began in 2007 with a table-full of artefacts made from Middle Eastern food packaging and newspaper (below). 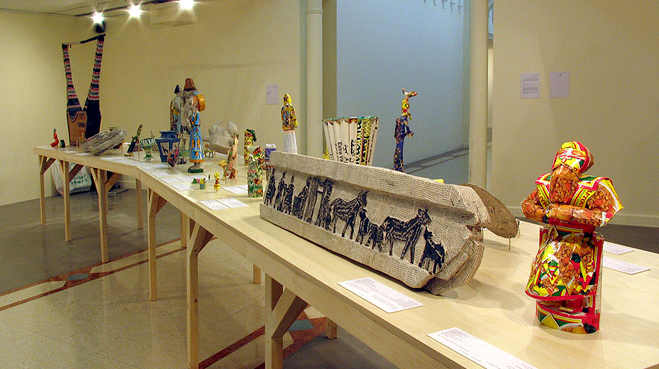 He describes it as ‘an intricate narrative about the artefacts stolen from the National Museum of Iraq, Baghdad, in the aftermath of the US invasion of April 2003; the current status of their whereabouts; and the series of events surrounding the invasion, the plundering and related protagonists.’ His sculptures seek to reconstruct looted and destroyed objects. He exhibited a collection in Berlin last year, at the Galerie Barbara Wien, in homage to Baghdad Museum’s former director, the late Donny George Youkhanna. Rakowitz's mother's family fled Iraq in 1946, and settled in the USA. The artist lives in Chicago. Two of t he works will be selected for the plinth in 2018 and 2020 successively. • Islamic State is reported to have murdered 12 teachers, soldiers and captured rebels on 18 January at Palmyra, Syria, in the Roman theatre and in the museum yard. And as I write, news is coming through of physical damage to the amphitheatre and environs; the tetrapylon (mainly restoration) is said to have been destroyed. After a period of occupation in which IS killed hundreds of people, including the archaeologist, Khaled al-Asaad, and destroyed or damaged significant components of the world heritage site, Palmyra was released by Russian-backed government forces in March 2016. Russia celebrated with a classical concert in the amphitheatre in May, but the site was retaken by IS in December. From the Desk of the General Secretary, above, notes that the Society’s Policy Committee will be responding to proposals for an enlarged road through a tunnel past Stonehenge. Ahead of a delayed visit by ICOMOS, after which statements are expected from Historic England and the National Trust, Highways England launched a public consultation on ‘proposed options’ on 12 January. As has happened before in a case with many starts and stops, the action prompted outspoken public comments. The company would ‘transform the route into an expressway, a new type of strategic road which is as safe and reliable as a motorway and where “mile-a-minute” journeys are the norm.’ The current single-lane road past Stonehenge is a major bottleneck in this vision. Views are sought on a proposed 1.8 mile (2.9 kilometre) tunnel under the World Heritage Site (WHS); alterations to existing junctions between the A303 and the A345 to the east and within the WHS (a major flyover above the present roundabout), and the A360 around the western WHS border; and a bypass for Winterbourne Stoke village further to the west. Stonehenge is first mentioned in the third of four objectives, after Transport, and Economic Growth. Under Cultural Heritage, it is noted that the road bisects the landscape, which ‘is spoiled by the sounds and sights of traffic.’ A tunnel ‘would reconnect the stone circle with nearby ancient monuments and help people explore the wider WHS.’ The fourth objective is Environment and Community. Tom Holland, historian and author of a new biography of Athelstan, Tweeted frequently against the proposals. In a video for the Stonehenge Alliance, he describes the tunnel as ‘an act of vandalism that would shame our country and our generation’, focussing on an alleged loss of Blick Mead. The Alliance has created a petition to ‘Save the Stonehenge World Heritage Site’, calling for a deep bored tunnel at least 4.5km long. As I write, it has 24,730 votes. Fellows are reminded that the Society's Policy Committee plans to respond to Highways England’s consultation, and that they should send the Society their views by Monday 13 February. Consultation documents can be downloaded here. An exhibition is touring the local area, and will make one appearance beyond, at the Society of Antiquaries in Burlington House on 6 February, at 2 pm to 8 pm. The deadline for public responses is 5 March 2017. Photos M Pitts. Not long ago I met someone at my local recycling centre with a carful – really, a car full – of Kodachromes, a lifetime’s amateur photography of views, events and family. The enthusiast had died, his family didn’t know what to do with the photos and was steadily pouring them into a skip marked non-recyclables. It didn't feel like the moment to intervene, and I turned away from what might have been a precious local record of social history and urban change. I was reminded of this when I came across Kodachromes on eBay. You can buy them individually (‘Weird Woman Looks Over Shoulder at Stone Henge, Mounted’, £3.95), in collections (‘36 Stockholm Switzerland Street Views Airport Tram Slides’, £15.75) or by the bucketful (‘350 Loose slides people holidays scenic buildings from various house clearances mostly from 1960s 1970s 1980s. Some look to be well taken pictures and others look not so good’, £30). Once you’ve bought your slides, you can turn them into a lampshade. 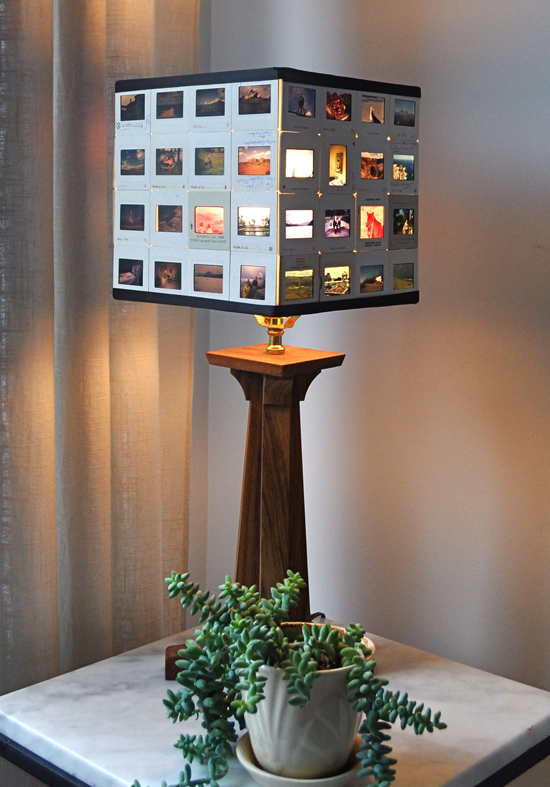 Red House West, a decorative blog written from Alaska and Oregon, offers a detailed slide lampshade tutorial. Find the slides and make your selection (‘the hardest part’), then stick them together with white linen tape, and… you can read the rest here. Be warned. As Chris Catling FSA wrote recently in Current Archaeology, picking up on pleas from Paul Stamper FSA, collections of old transparencies from a lifetime’s work may have more value to others than you imagine. It’s worth thinking about how they might be archived. Lampshades beckon. On Wednesday morning 25 January, Chris Bryant MP will move a Westminster Hall debate on the Restoration and Renewal of the Palace of Westminster. An inquiry into the controversial renewal programme for the Palace, more commonly known as the Houses of Parliament, was launched on 16 January. 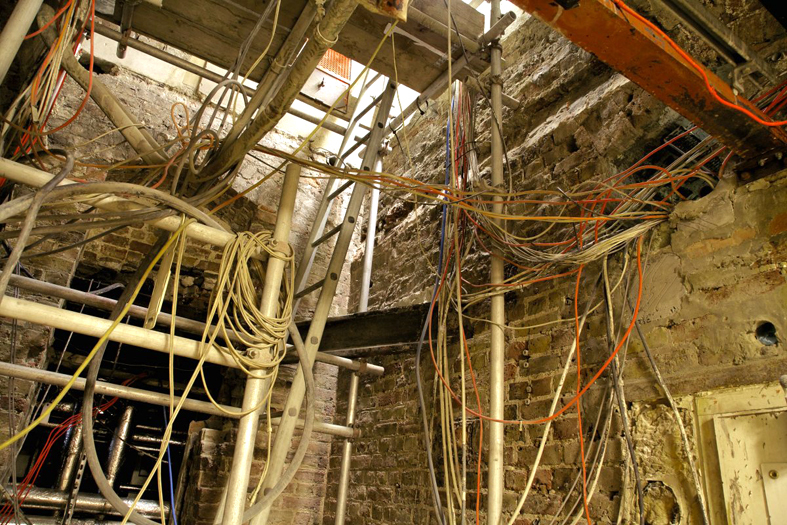 The cost of the cheaper option offered, which necessitates the buildings being vacated and their occupants ‘decanted’ into other premises for five to eight years, is estimated at between £3.5 and £4 billion. What is ‘likely to be one of the largest major restorations in the history of the public sector estate’ would cost considerably more, and take considerably longer, if our representatives chose not to move out. This is one of the main points of debate – the other being whether the project should go ahead at all. The Treasury Committee has invited written evidence and views on the options as set out in a report by Deloitte and another by the Joint Committee on the Palace of Westminster, and other options that witnesses may wish to put forward. See here. Deloitte's Independent Options Appraisal, which followed a 2012 Pre-feasibility Study, was published in 2015. Three volumes, including seven appendices, can be found here. The report made no recommendations, but noted that a rolling programme of repairs might take 32 years at a cost of some £5.7 billion. It is widely acknowledged that the Palace needs major and long-overdue works, for reasons of safety, work and running efficiency, public access, and conservation at a World Heritage Site. The photo is from Business Insider. In 2014 a touring exhibition of treasures from five Ukrainian museums (The Crimea: Gold and Secrets of the Black Sea) reached Amsterdam's Allard Pierson Museum. Not long after, Russia annexed the source country. The artefacts are still in the Netherlands, and in December a Dutch court ruled that they must be returned to Ukraine. The collection has to be hidden in a secret location for a further three months, pending an expected Russian appeal, and Ukraine has been billed €111,000 for storage and security. ‘Over two years ago, I reported on the exhibition of Crimean treasures which was in Amsterdam when Russian troops occupied the Crimea. The legal wrangle over the return of the exceptional artefacts (to the Ukraine or to the Crimean museums?) has now reached a conclusion: an Amsterdam court has found that the objects are to be returned to the Ukraine. ‘The decision is based on the argument that the agreement over the loan of the objects had been signed with the Ukrainian government, not with the respective museums. This is, of course, a severe blow to the Crimean museums which had loaned some of their most precious and important finds, but it would be naive to deny the political dimension of this sad affair (much as the Dutch judge may have tried to keep politics out of it). ‘Professor Max Martin made major contributions to provincial Roman, Late Antique and Medieval research, and had taught in both the University of Basel and in the Ludwig-Maximilians-Universität in Munich. ‘I came to know him, and his wife, Stefanie Martin-Kilcher, chiefly in connection with Max's brilliant work on late-Roman silver: his chapter on the spoons and other utensils in the great 1984 catalogue of the Kaiseraugst treasure contained insights and interpretations that have repeatedly been proven correct in the study of subsequent finds such as the Thetford and Hoxne hoards, and set a standard of analysis and presentation for us all to aspire to. This work alone would have ensured his place in the history of scholarship, but it was only one aspect of his wide-ranging research. 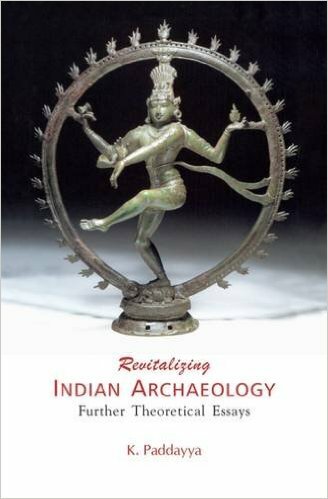 Other Fellows will doubtless be able to comment on his contribution to Medieval archaeology. ‘In spite of his long and debilitating illness over the last few years, he and Stefanie continued to work on their vital contributions to the forthcoming re-publication of the treasure of Traprain Law, and we can expect yet more enlightenment from Max's exceptional understanding and original thought, even though he himself has left us. The sell for Manhattan Loft Gardens (architects Skidmore, Owings & Merrill, or SOM), a new residential tower in Stratford, is heavy on its inspirational and cutting-edge design and construction. Promotional videos feature praise from the Editor-in-Chief of Wallpaper*, the Evening Standard’s Architecture Critic, and the Fashions Features Director at Vogue. Not everyone, however, appreciated those views. As the tower reached its full height of some 150 m, the Friends of Richmond Park (FRP) told London Mayor Sadiq Kahn that it’s silhouette broke a planning convention: it blocks the sky behind the dome of St Paul’s Cathedral. 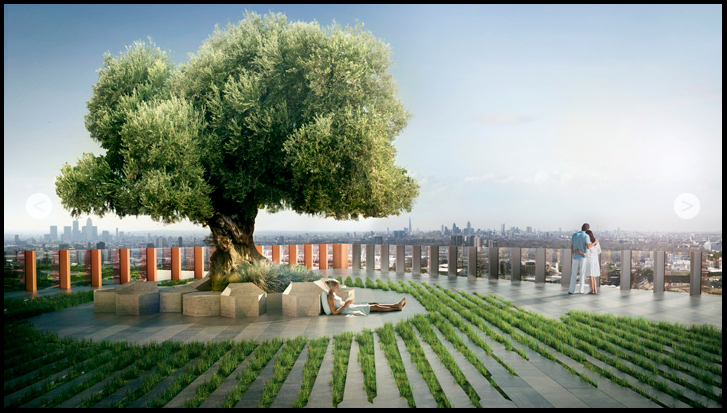 Seen from the Park’s King Henry’s Mound, FRP Chairman Ron Crompton wrote in a letter on 18 November, Manhattan Loft Gardens ‘will destroy [a] cherished view’ long protected under the London View Management Framework. This says any neighbouring development ‘is subordinate to the cathedral’, and that ‘the clear sky background profile of the upper part of the dome’ should remain. Marion Shipley FSA, museum curator, died in December. David Allan FSA, historian and curator, died in January. Appreciations appear in Fellows Remembered below. The section also contains further notices on the late Kenneth Painter FSA, the late Eddie Peltenburg FSA, the late JT Smith FSA, the late David Trump FSA, the late Martyn Heighton FSA and the late Alan Warhurst FSA. Elizabeth (Liz) Hallam Smith FSA was appointed a Companion of the Order of the Bath (CB) in the New Year's Honours list 2017, for services to Parliament and National Heritage. She was Director of Information Services and Librarian, House of Lords, and before that Director of Public Services at the Public Record Office. She now works as an independent archives and information consultant. The Ashmolean Museum, Oxford, has been granted £110,000 by the DCMS/Wolfson Museums and Galleries Improvement Fund. Marking the 400th anniversary of the birth of the Museum's founder, Elias Ashmole, it plans to transform two central lower floor galleries to tell its own story. The grant will be used to create ‘a dramatic and theatrical permanent display … evoking the 17th-century cabinet of curiosities.’ There will also be a display about the Civil War. 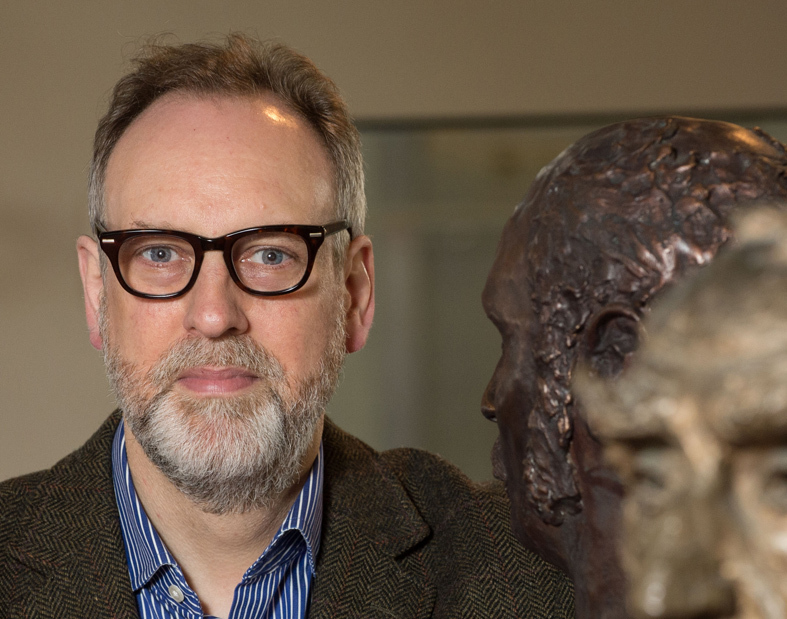 David Gaimster FSA, Director of The Hunterian, Glasgow University’s museum and art gallery, and former General Secretary and Chief Executive of this Society, has been appointed Director of the Auckland War Memorial Museum. He is expected to take up the post in March.‌ Gaimster has led the Hunterian through a significant period of change, says the museum in a press release, in strategic priorities, in visitor numbers (nearly 200,000 last year, among the highest for a university campus-based museum anywhere in the world), and with the launch of The Hunterian in the South, a showcase at the University’s Crichton campus in Dumfries. David Newall, Secretary of University Court, said, ‘The Hunterian now has a greater impact than ever before on the academic work of the University and on the wider community.’ The War Memorial Museum tells the story of New Zealand, its place in the Pacific and its people, and has pre-eminent Māori and Pacific collections. Gaimster follows Roy Clare, former Director of the National Maritime Museum and Chief Executive of the Museums, Libraries and Archives Council, who returns to England. In Troy House: A Tudor Estate Across Time, Ann Benson FSA examines the Duke of Beaufort’s Welsh estate in Monmouthshire, using all possible methods of research, she tells Salon, from unpublished manuscripts to archaeology, to investigate the estate from its medieval origins to the present. Maurice Howard FSA is a fan of the book. ‘Troy’s past is that of an aristocratic seat’, he writes, ‘but it is rarely discussed in the history of the great country house. The author examines both house and estate, reveals documentary and visual evidence from across the centuries and assesses Troy’s significance for the first time. 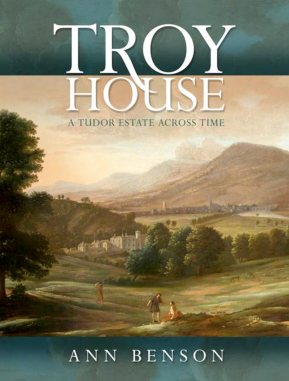 It is a huge achievement and contribution to the field and, since the house has been under threat for a century or more, future historians will be in Ann Benson’s debt for a timely investigation of somewhere so fascinating and yet so fragile.’ University of Wales Press is offering a 20% pre-publication discount, with the code TROY17, until 15 March 2017. Paul Taçon FSA, Professor, School of Humanities, Languages and Social Science at Griffith University, South East Queensland, was awarded the Rhys Jones Medal for Outstanding Contribution to Australian Archaeology at the annual Australian Archaeological Association conference on 8 December. Unusually, two medals were awarded, the other going to Jo McDonald, Director of the Centre for Rock Art Research and Management at the University of Western Australia. 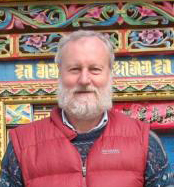 ‘The Association has made a significant statement about the importance of rock art research’, writes Taçon, ‘as well as our contributions to Australian archaeology in general.’ He notes that he is one of only two to have received both a Rhys Jones Medal and an Australian Laureate Fellowship, the other being Sue O'Connor FSA, Distinguished Professor, School of Culture, History & Language at The Australian National University (in 2011 and 2012 to present, respectively). 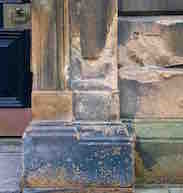 On 1 December, Edinburgh World Heritage and the Society for the Protection of Ancient Buildings said ‘complacency and lack of attention to basic building maintenance … represents a significant threat to [Edinburgh’s] World Heritage Site’. They added that 72% of the buildings in the historic city centre are judged to be in need of repair, most of them privately owned historic tenements with multiple owners and tenants. On 9 January Culture Secretary Fiona Hyslop confirmed £6.6 million capital investment in conservation work, repairs and visitor facilities at several of Scotland’s heritage sites and monuments. Historic Environment Scotland published a report estimating necessary conservation and repair work would cost £65 million over the next ten years. ‘The few signs that act as verbs,’ says Wikipedia, ‘include “sit,” “stand up,” “kneel” and “confess”.’ This might sound like instructions on communicating with your dog (the last one being especially useful), but in fact the information comes from an entry on monastic sign languages. 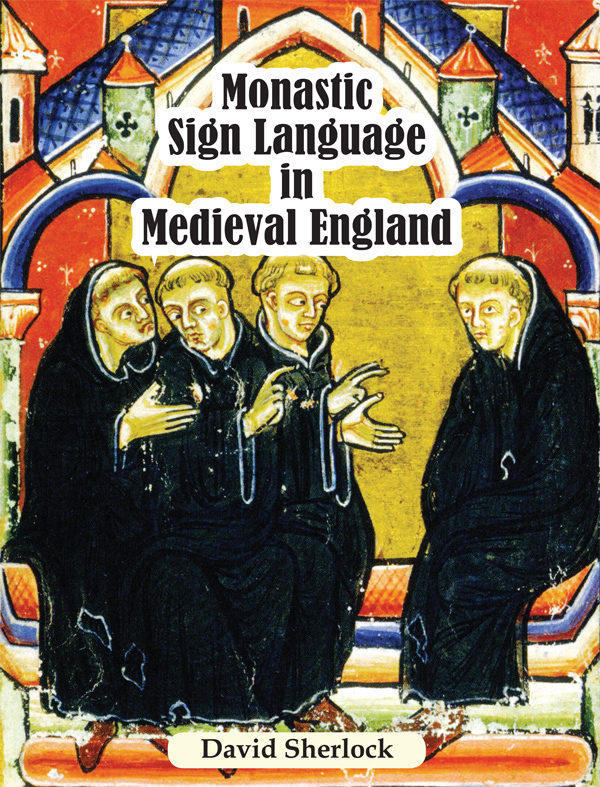 David Sherlock FSA, a student of the subject, has written Monastic Sign Language in Medieval England. The book reviews the Venerable Bede’s signs and the Cambridge University Library sign list, and sign language in use at Canterbury, Christ Church Cathedral Priory; Bury St Edmunds Abbey; Ely Cathedral Priory; and Syon Monastery. The Art Newspaper included an anonymous portrait of Elizabeth I among its ‘top ten [international] museum acquisitions of 2016’. 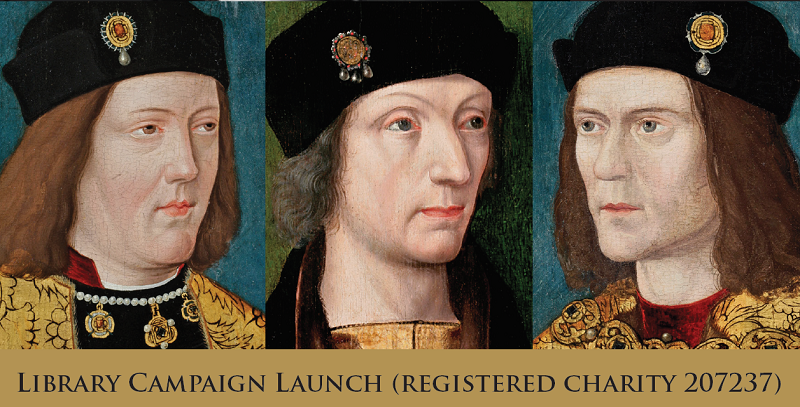 The painting was bought by Royal Museums Greenwich after an appeal to raise £10.3m to keep the work in the country. The other UK acquisition making the list was the move of 400,000 photos, mostly in the Royal Photographic Society’s collection, from the National Media Museum in Bradford to the Victoria & Albert Museum, London. 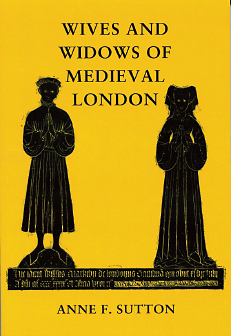 Wives and Widows of Medieval London collects together ten essays by Anne Sutton FSA. The women (and their husbands), says the blurb, came from all over England to make their fortunes. Many trades and crafts, from pewterers, ironmongers, clothiers and mercers, to the clerk of the king’s council, are represented, but silkwomen dominate numerically. The emphasis is on women who married several times, their wealth sought by men ambitious for the highest civic offices, who in turn could offer the role of lady mayoress. As widows these women bought and managed properties, ran businesses, founded chantries and dispensed charity, often while bringing up their grandchildren and children of other women. The publisher is offering the book at a special price of £20 post free in the UK: contact Shaun Tyas, 1 High Street, Donington PE11 4TA or shaun@shauntyas.myzen.co.uk. Meetings with Remarkable Manuscripts by Christopher de Hamel FSA also got its place in the TLS list: Lucy Beckett found it ‘a text which is engaging and packed with information on every single page,’ and its author ‘a delightful and wonderfully learned companion and guide.’ The Telegraph chose 50 best books from 2016, rather cruelly ranking them (in an exercise that all but the books’ authors will forget). In at no. 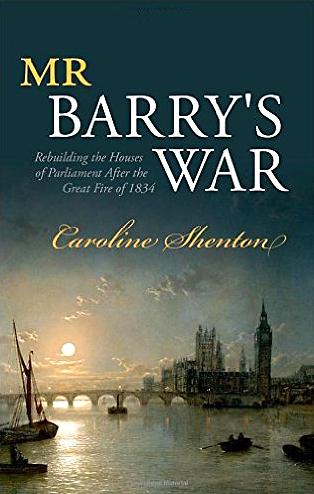 37 was Mr. Barry's War by Caroline Shenton FSA. At no. 2 was de Hamel’s Manuscripts, which was also among the Evening Standard’s best books of 2016, was chosen in the Guardian by Philip Gwyn Jones (Editor, Scribe) as one he wished he’d published (‘The most beautifully uplifting book’), and was listed by BBC History magazine. In the latter, Mr. Barry's War was chosen by Lucy Worsley FSA. De Hamel talked to Andrew Marr about manuscripts on BBC Radio 4’s Start the Week on Boxing Day. Dominic Tweddle FSA, Director General of The National Museum of the Royal Navy, announced the acquisition of the medals and log books of Captain Eric ‘Winkle’ Brown (1919–2016), ‘following the intervention of an incredibly generous donor. It is fair to say’, continued Tweddle in a release, ‘that Captain Brown was by many measures the Fleet Air Arm’s most significant pilot of the post-war period and we are thrilled and honoured to be able to class this collection as one of our own.’ Captain Brown holds world records for both the most aircraft carrier take-offs (2,407) and the most landings (2,271), and on 3 December 1945 became the first ever pilot to take off and land a jet aircraft on a carrier. He flew a world-record breaking 486 types of aircraft. Bonhams had offered the collection for sale at an estimated £200,000, but bidding failed to reach the reserve price. 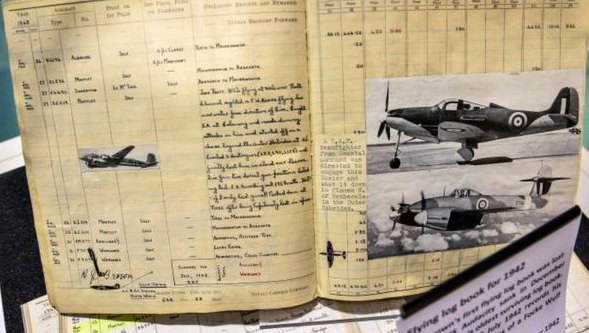 It went on display at the Fleet Air Arm Museum, Yeovilton, Somerset, on 20 January. Bryan Ayers FSA, a former Chief Executive of the Butrint Foundation, writes of a new book about the southern Albanian World Heritage Site. Richard Hodges FSA has been working at Butrint for the last 20 years. 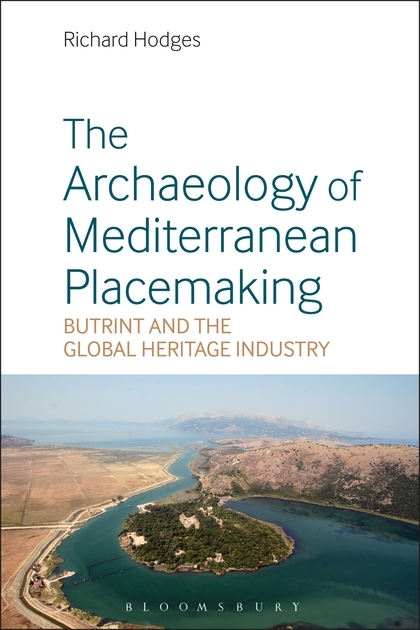 In The Archaeology of Mediterranean Placemaking: Butrint and the Global Heritage Industry, launched at Spencer House, London on 17 January, he has produced a set of interwoven reflections about the site’s archaeology and cultural heritage history. Major excavations and a series of scientific publications have made it a key location for our developing understanding of the Roman and Medieval Mediterranean. Hodges considers how the Butrint Foundation protected and enhanced Butrint's spirit of place for future generations. The Royal Commission on the Ancient and Historical Monuments of Wales, in partnership with the Discovery Programme, Centre for Archaeology and Innovation Ireland; Aberystwyth University, Department of Geography and Earth Sciences; and Geological Survey, Ireland, is leading a new EU-funded project to research coastal heritage sites in Wales and Ireland. Funded through the European Union’s Ireland-Wales programme, the five-year CHERISH project (Climate, Heritage and Environments of Reefs, Islands and Headlands) – ‘Climate Change and Coastal Heritage’ – will support specialist organisations to employ cutting-edge technologies to analyse coastal and island archaeology and maritime heritage sites most affected by climate change, coastal erosion, storminess and rising sea levels. Christopher Catling FSA, Secretary of the Commission, said in a release, ‘The project will enable us for the first time to undertake fieldwork on some of Wales and Ireland’s richest archaeological landscapes, which we believe will open up many new and exciting opportunities for coastal and heritage tourism across both nations.’ See Vacancies below. Christine Finn FSA, who describes herself as a creative archaeologist and journalist, was due to perform her new work, Lead to Air, in ‘an otherwise empty barn’ in Averill Park, NY on Sunday 22 January. 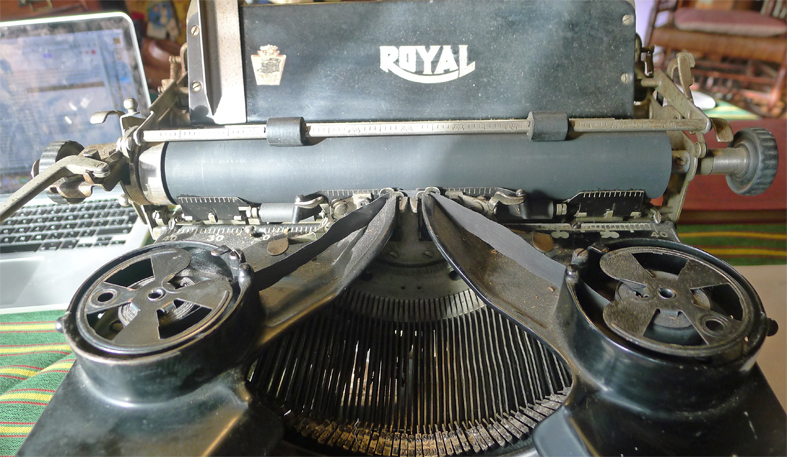 Inspired by ‘old newsroom technology and collaborative process,’ the event was scheduled as ‘a nod to the significant international news event [of the presidential inauguration] and the long-form reporting, and deep investigation, of traditional Sunday newspapers.’ She was set to type at a desk for six hours, said a release ahead of the performance, on a vintage Royal typewriter loaded with a roll of continuous paper. ‘She will be listening on headphones to another six-hour durational work, A Lot of Sorrow by the Icelandic artist Ragnar Kjartansson and Brooklyn-based Ohio band, The National.’ Participants were expected to listen to the recording over headphones, and read the typed copy as it emerged from the typewriter. The British Museum blog, where not much had happened since a post about conserving Dürer’s Triumphal Arch in March last year, has been recreated at a new address, british.museumblog.org. ‘This is not just a redesign,’ says Chris Michaels, the Museum’s Head of Digital and Publishing, ‘but a rethink of what a blog is for.’ The online BM had been steadily falling behind the times, a maze of attics where curious old trunks might be stumbled over, but where little could be found of use in the outside world. We now have a new search portal that actually seems to work. A search for Hoa Hakananai'a brought up links to a variety of articles, including the full archive entry, all on the same page – a welcome improvement. Though there were six apparently identical links to the same item headed ‘British Museum – 12 objects for children’, the first two of which brought up the same thing in French. When I clicked on tabs at the top, Visiting came up in German. A work in progress, but a much-needed one. 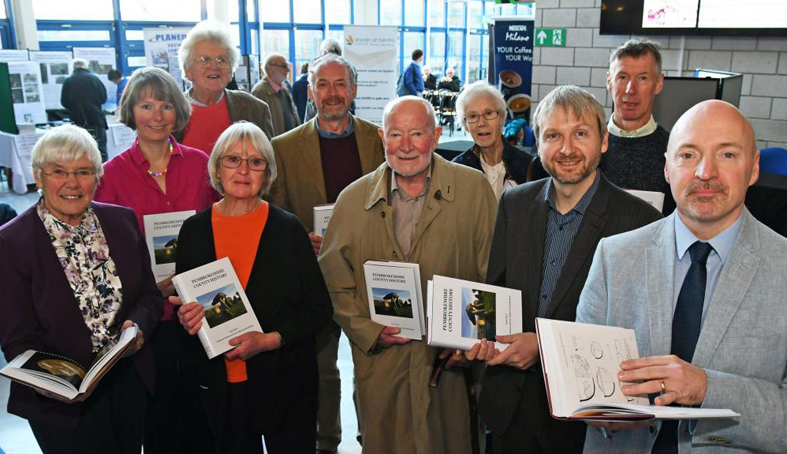 Volume I of the Pembrokeshire County History, Prehistoric, Roman and Early Medieval Pembrokeshire, was launched at Pembrokeshire College on 26 November. It is part of a four-volume set published by the Pembrokeshire County History Trust, numbered by the era of their contents. This is the last to appear – Volume IV (Modern Pembrokeshire 1815-1974, edited by David Howell) was published in 1993. Authors pictured at the launch are (left to right), Heather James FSA, Elizabeth Walker FSA, Mike Eastham, Mary John, Tim Darvill FSA, Geoff Wainwright FSA, Anne Eastham FSA, Mike Cavanagh, Ken Murphy and Simon Hancock FSA. Email for further information: simon615@btinternet.com. 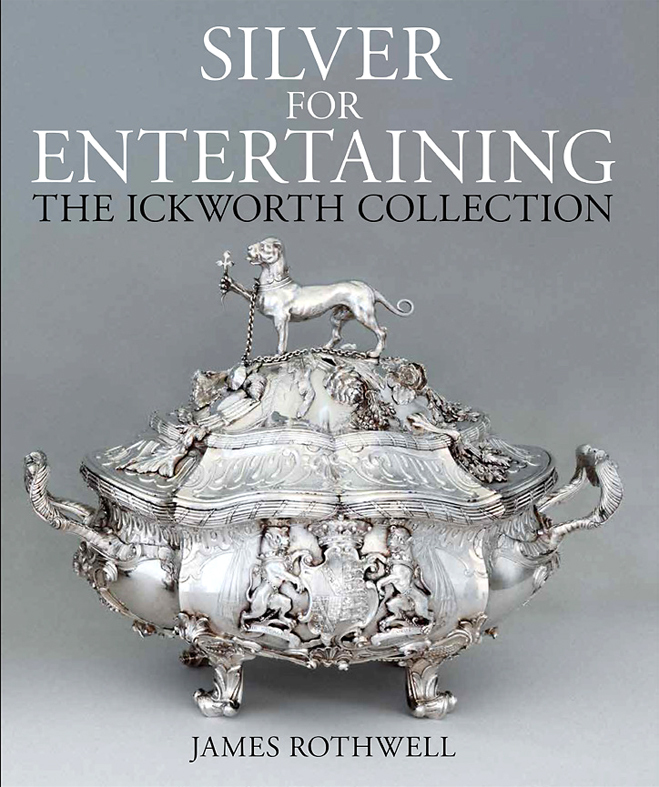 James Rothwell FSA describes the Ickworth Collection, at Ickworth House, Suffolk, in Silver for Entertaining. It is, says the blurb, ‘one of the most important collections of 18th-century silver in Europe. With almost 1,000 pieces, it is of the highest quality, style and exuberance of form, surviving virtually intact along with extensive and previously untapped archival evidence of its commissioning and use, and of the diplomatic, political and court appointments of its principal patron, George William Hervey, 2nd Earl of Bristol (1721–75).’ The catalogue analyses the style and technology of individual objects, and the light they throw on the patronage, fashion and social history of a vibrant and turbulent era of European history. Last year Thelma Bishop asked Adam Partridge Auctioneers and Valuers, Macclesfield, about a pottery jug she and her husband had bought after visiting Ephesus in Turkey in the early 1960s. 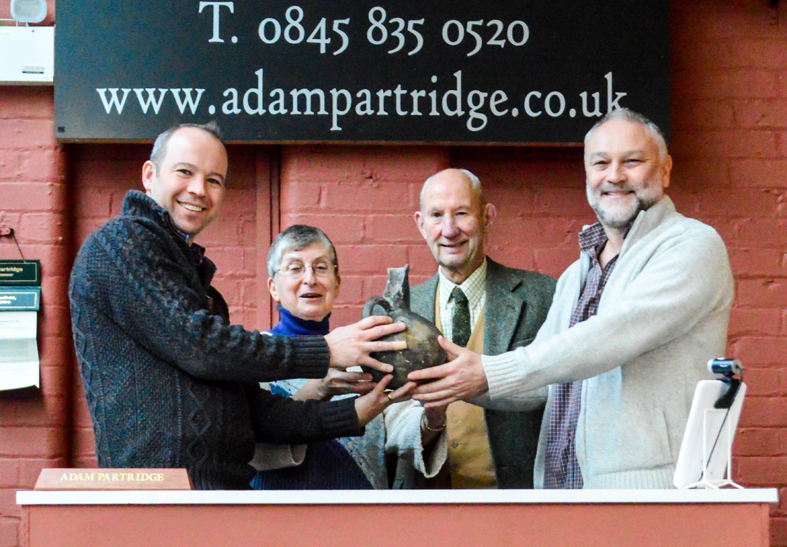 Mrs Bishop, says the auctioneers in a press release, ‘knew her Lucie Ries from her Hans Copers but was at a bit of a loss as to the authenticity of the jug.’ Jason Wood FSA (on right in photo) is a Specialist Consultant in Studio Ceramics at Partridge’s. He confirmed the jug to be an Early Bronze Age Yortan culture artefact (2500 BC), commonly found as a burial offering in western Anatolia. ‘Although it was bought in good faith over 50 years ago,’ says Partridge’s, ‘it was now clear that the jug should never have left Turkey. Wood therefore advised Mrs Bishop that it would be wrong to sell the jug at auction and that it should be returned to Turkey. Mrs Bishop agreed to this course of action and Wood then contacted the Turkish Embassy in London for advice on the necessary procedure to follow.’ The jug will go to the Museum of Anatolian Civilizations in Ankara. In New York on 12 January, Phoenix Ancient Art, a Swiss antiquities dealer in Geneva and New York, filed suit against the Getty Museum for $77 million, naming, among others, the Getty’s Director, Timothy Potts FSA. The museum is accused of breach of contract, fraud and other things, relating to an invaluable collection of Classical Greek and Roman sculpture owned by the Torlonia family in Italy. Phoenix claims it had ‘exclusive relationships’ with the collection, which the Getty wrongfully exploited. The Getty dismisses the suit as ‘baseless’. Lee Rosenbaum writes interestingly about the case here, with a link to the complaint document. 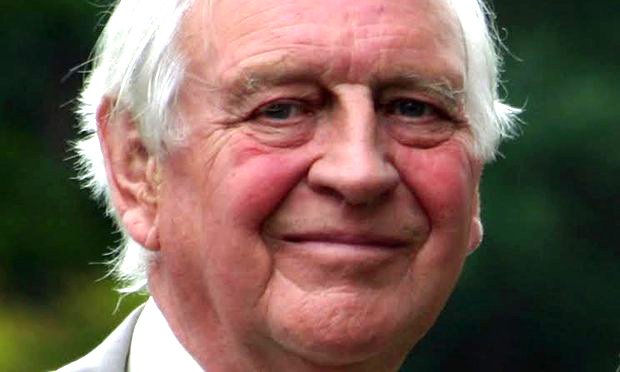 Kenneth Painter FSA, who died last May, was Vice-President of the British Archaeological Association. 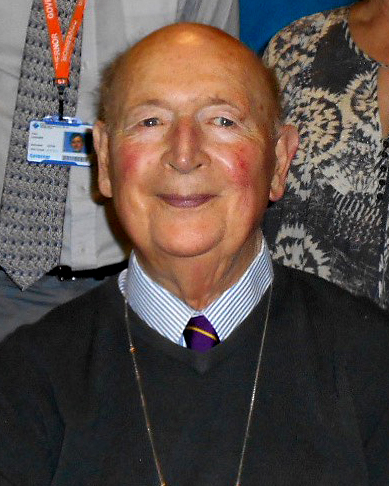 The BAA published an obituary in November by Laurence Keen FSA, noting that his fellow Vice-President, the Reverend Martin Henig FSA, had taken his funeral service. Among other things, Painter’s work for the Association is described, including that which helped it become a limited company, for Oxford Archaeology, of which he was a Trustee/Director from 2001–05, and for this Society. Eddie Peltenburg FSA, was an ‘Intrepid archaeologist who followed in the footsteps of Lawrence of Arabia and worked on sites later desecrated by Isis,’ headlined an obituary in the Times in October. He was ‘the sort of archaeologist who embraced excavations from Cyprus to Iran,’ says the paper ‘– his motto was “there are no problems, only solutions”. He even had these words emblazoned on dig T-shirts in English and Arabic. In his late 60s he remained a slim-built, moustachioed figure. Colleagues would spot him running around surveying sites and hopping from stone to stone, unbowed by age. He liked nothing better than being out in the field, shirt sleeves rolled up and dust on his boots.’ The Professor Emeritus of Archaeology at the University of Edinburgh died in August. 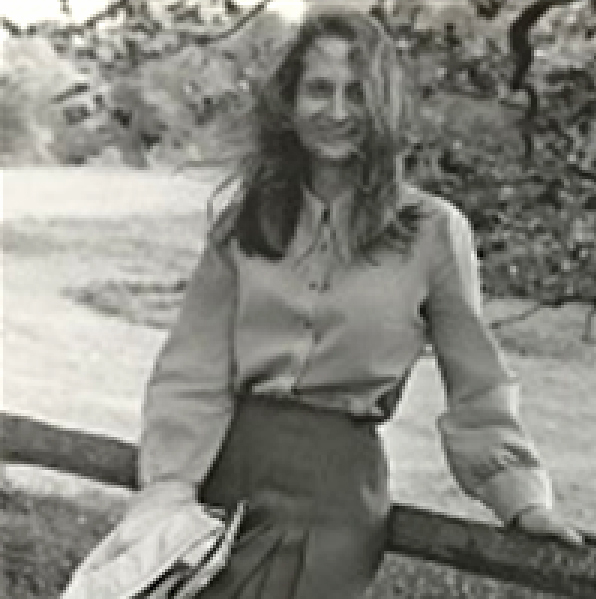 Marion Shipley FSA, former Curator of Kingston Museum and a Director of the Surrey Archaeological Society, died on 21 December aged 75. She was elected a Fellow of the Society in May 1979. Her rescue excavations in Kingston-upon-Thames included the recording of prehistoric and Roman remains at Eden Walk in the 1970s. David Allan FSA, historian and curator, died on 12 January aged 91, after a long illness. He was elected a Fellow of the Society in March 1967. Born in Horsham, West Sussex, he graduated from the London School of Economics. He became Archivist in 1954, then Curator and finally Honorary Historical Advisor for the Royal Society for the Encouragement of Arts, Manufactures and Commerce (RSA). Published works include a biography of William Shipley who founded the RSA (Allan was Honorary President of the William Shipley Group for RSA History), and books, articles and pamphlets on topics relating to the history of the RSA, and of Twickenham, where he lived. He was a Visiting Professor of History at Case Western Reserve University, Cleveland, Ohio, and for the London programme of the University of Connecticut. He lectured at London museums and galleries, and taught a history class for Richmond U3A. ‘I consulted David Allan about the sculptor John Bacon in 1954, and we became friends until the day of his death. David was a very shy person, and spoke hesitantly except when lecturing. He took no part in the doings of the Antiquaries and gave only one lecture, late in life, on the RSA, where he was the Curator and Resident Historian. Even before President Trump’s inauguration on 20 January, we heard from The Hill that federal spending cuts might include the following: closing the National Endowment for the Arts; closing the National Endowment for the Humanities; privatising the Corporation for Public Broadcasting; closing the Office of Energy Efficiency and Renewable Energy; closing the Office of Fossil Energy; reduced funding to the Environment and Natural Resources division at the Department of Justice; and removing funding from the Paris Climate Change Agreement, and the United Nations’ Intergovernmental Panel on Climate Change. This apparently mirrors proposals set out a year ago by the Heritage Foundation, a conservative organisation whose name is perhaps an accidental nod to Orwell. Most Fellows are distant observers of American politics, but there are many (US citizens, and others whose work engages them with American colleagues, locations or research projects), whose work may be directly affected by such changes in federal funding. Salon would love to hear about your thoughts and experiences. You can catch up on meetings you've missed by watching our lecture recordings (visit the events page and filter the results list by choosing 'past events'). Unless indicated otherwise, tea will be served at 16.15, and the Meeting will commence at 17.00 precisely. Online ballots close at noon at the date of the scheduled ballot. At Ordinary Meetings, ballots open at 16.00 and close at 16.20. The results are read at the beginning of the Meeting. 9 February: "Apethorpe, Northamptonshire: The Building of a Courtier House, 1470-1551", lecture by John Cattell FSA. 16 February: "Culture, Identity and Economy in the Anglo-Saxon Fenland Before 970", lecture by Susan Oosthuizen FSA. Interested in proposing a lecture? Please download and complete the Lecture Proposal Form, and email it to Renée LaDue, the Society's Communications Manager (rladue@sal.org.uk). Please note that lecture programmes are planned between 6 and 12 months in advance. 31 January: 'From the Dungheap to the Stars: The History of Early Gunpowder', by Kay Smith FSA. 14 February: 'Revealing Verulamium: Community Heritage, Geophysics and the Archaeology of a Roman Town,' by Kris Lockyear FSA and Ellen Shlasko. Click here for more information on our public lectures. We also run public tours of our building and collections (£10 per person) preceding the lectures above. 26 January: Join us for a tour of the Society's Burlington House apartments and take the opportunity to learn more about the building, collections and benefits and resources available to Fellows of the Society. Book a free place today! The Society's apartments (including the Library and Fellows' Room) will be closed for the Christmas holidays 24 December to 2 January (inclusive). Additionally, the Society's Library will be closed on the morning of 12 January (until 13.00) due to staff training. 2 March 2017: Archaeology at Rendlesham, Suffolk: An East Anglian Royal Settlement of the Time of Sutton Hoo by Christopher Scull FSA, a joint lecture with the Department of Archaeology of University of Exeter (14.30-15.30 at the University of Exeter, Streatham Campus, Laver Building, Lecture Theater 3). 24 January 2017: Fellows' Evening (miscellany of short papers from Fellows). The talks will take place in the Bedingfield Room, The Bar Convent, York. The evening will begin with refreshments at 18.00, presentations at 18.30 and conclude at 20.00 with a meal organised by our steward, Jim Spriggs. Those who wish to join should email Stephen Greep FSA at sjgreep@gmail.com. Kensal Green Cemetery Friends and guests are invited to a reception in the River Room at the House of Lords at 6–8pm, with wine and canapés, and an opportunity to visit Westminster Hall and the Chapel of St Mary Undercroft (not open to the public). The event will cost £50 per person with proceeds to be devoted to Friends’ restoration and other programmes at Kensal Green Cemetery. Contact Jenny Freeman FSA, Chair FOKGC, at jmfhproperties@gmail.com. A weekend school at Rewley House, 1 Wellington Square. The 20th century saw fundamental shifts in the patterns of religious observance in Britain and Ireland. 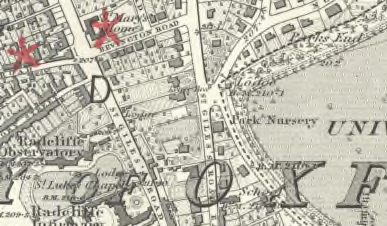 Across much of the area traditional Christian congregations declined; partly in response to that new styles of worship were espoused; and adherents to faiths previously rare in Britain and Ireland became numerous. The increase in diversity, combined with new architectural styles and forms of construction, make this one of the most exciting periods in the development of places of worship. Contributors include Allan Doig FSA, Simon Green FSA, Richard Halsey FSA and Sharman Kadish FSA. See online for details. 1 February: Perfection or Pastiche? New Buildings in Old Places The blight of the concrete municipal buildings of the 1960s and 70s in the historic centres of our cathedral cities is all too familiar. Everyone wants to avoid the same mistakes being made again, but can we reconcile old and new in our historic cities? 8 March: The Value of Heritage and the Heritage of Value There was a time when old places were valued simply for their beauty and interest, but now this is not enough. Are calculations of the financial contribution of our history adding to the value of our heritage or have they fundamentally devalued it? 7 June: Fifty Years of Conservation Areas (Thurley and Desmond Fitzpatrick FSA) The first Conservation Areas were designated in 1967, today at the golden anniversary there are some 10,000 sites. The presentation will explore the origins, variety and some challenges for the future. Oxford University Department for Continuing Education has a programme of courses at Rewley House, designed to provide training in key skills for the historic environment, grounded in everyday working experience. These short practical courses are open to all, from historic environment professionals to members of the public with a keen interest in archaeology and historic buildings. The programme is endorsed by CIfA, the IHBC, the Archaeology Training Forum and FAME, and has been developed in conjunction with leading heritage practices. Courses are linked to the National Occupational Standards for Archaeology, and for Town Planning, Conservation and Building Control, and are widely accepted for continuous professional development. Details of National Occupational Standards. Full details can be found online. 5–7 July: Heritage Values and the Assessment of Significance. A day school at Rewley House, exploring the life and collections of Percy Manning (1870–1917). Manning amassed an enormous wealth of materials covering the whole county, which he gave to Oxford University, where they are held by the Bodleian Libraries and the Ashmolean and Pitt Rivers Museums. His collections range from prehistoric to modern times, from Stone-age implements and truncheons to historical records, plans and drawings. Kate Tiller FSA will chair a panel of five speakers. See online for details. Objects and possessions define us, yet in many ways we know little about them from a historical perspective. This interdisciplinary conference, which takes place at the University of Southampton’s Avenue Campus, looks at material culture across a long timeframe in order to explore the worlds of goods and objects across Europe and its overseas colonies, the connections and relationships facilitated by the exchange of goods, the importance and interpretation of the inheritance of goods and objects, and the ways in which goods brokered relationships between Europe and the wider world in the period. The aim is to deepen our understanding of how goods ‘worked’ in a variety of social, economic and cultural contexts. A closing keynote address will be given by Chris Woolgar FSA. For details see online. 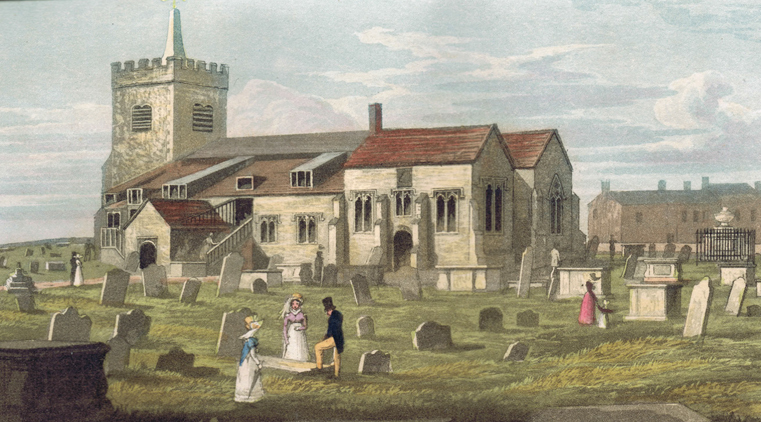 Against a background of declining congregations and large numbers of listed churches with uncertain futures, this day conference considers the emergence, use and decoration of the early parish church, how the parish church has changed, and what might lie ahead for rural parish churches. 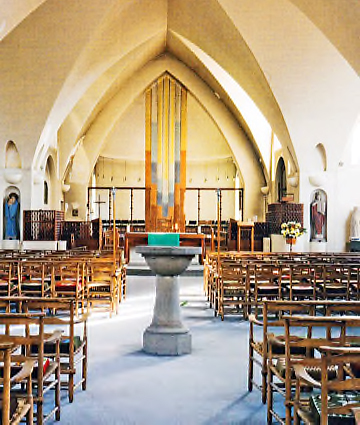 The delegates’ handbook will include illustrations and other information to help ‘read’ a church when you visit. See online for details. Karen Hearn FSA will be the keynote speaker at the Women’s Studies Group 1558–1837 annual workshop at The Foundling Museum. The day always has the same format. Discussion and lunch follow a keynote from a distinguished invited speaker; then participants talk on a relevant subject, leading to discussion: we invite all those attending to give a five-minute presentation inspired by the topic. At Tate Hearn curated Dynasties: Painting in Tudor and Jacobean England 1530-1630 (1995), for which she received a European Woman of Achievement Award. She also curated Van Dyck and Britain (2009), and Rubens and Britain (2011–12). Marcus Gheeraerts II: Elizabethan Artist (2002) established the theme of the ‘pregnancy portrait’, the subject of her next book. Details online. This symposium will take place at the Dokuz Eylul University. Lydia was an ancient region, located in inner western Anatolia, and compared to the coastline of western Asia Minor its archaeology is not well known. We warmly invite contributions by scholars and graduate students from a variety of disciplines of ancient classical studies related to this region. The aim of the symposium is to report on the state of research concerning Lydia between the 8th century BC and 6th century AD. See online for details. The Medieval Pottery Research Group and the Centre for Historical Archaeology are organising a joint conference at the University of Leicester. Drinking-related ceramics form a significant part of archaeological assemblages in Europe and beyond throughout the Medieval and post-Medieval periods. Ceramic containers, used for producing, storing, transforming and consuming beverages, are associated with a wide range of activities from large-scale transnational trade and ceremonial consumption, to intimate daily rituals at home. The conference aims to explore the important social and economic roles that ceramics of drink filled and how they can be effectively studied., Papers addressing research both in and outside Britain are warmly welcomed, and should be around 20 minutes. 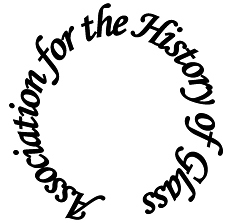 Please send abstracts of no more than 150 words to Lorraine Mepham FSA, MPRG Meetings Secretary, by 1 March 2017: l.mepham@wessexarch.co.uk. 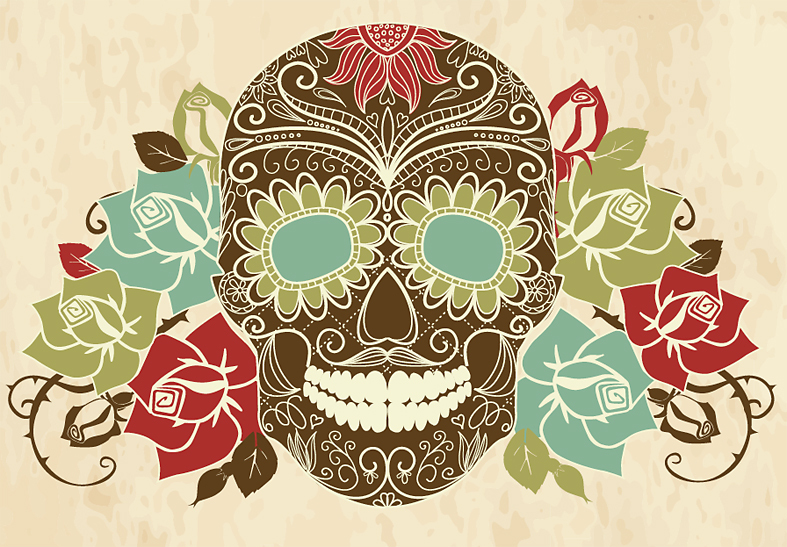 This conference focuses on the role of ritual, religion and magic in healthcare, death, dying and burial. Individual papers might include death technology and magic, liminality, religion and spirituality in end of life care, ethics and culture at the deathbed, dying inside (and outside) of modern health care, spirituality and the death of animals, rites of passage in dying, superstition and funerals, ritual application in preparing the corpse and burying the dead; emergent religious and cultural practices in the disposal of the dead, ancestors online, death, dying and grief in public and on the internet; talking with the dead, the dead in popular horror, the dead in witchcraft execution or haunting or social rituals associated with the dead body, spirituality or lifeways and deathways. Abstracts should be no more than 250 words long. Deadline for submissions is 28 February 2017: forms can be found online. For further information see the conference website. Proposals are invited for a conference at Canterbury Cathedral, part of a wider project to preserve and research the material culture of the Black Prince held at the Cathedral through The Canterbury Journey project. The conference will explore and appraise current and developing studies of the Black Prince, his life, his influence past and present, and will contextualise him within the cathedral setting. A keynote address will be complemented by a series of presentations and panel discussions and unusual access to the Cathedral’s architecture. The aim is to offer a vibrant and challenging perspective on the field, review ongoing projects and public and scholarly engagement. Original proposals are welcome from professionals, rising and established academic scholars and graduate students. Email Sarah Turner and Heather Newton by 30 January 2017, at sarah.turner@canterbury-cathedral.org and Heather.Newton@canterbury-cathedral.org. See online for details. Send proposals (title and abstract up to 200 words) to Martine Newby Haspeslagh (martine@didierltd.com) by 15 February 2017. Further details will be available online in April. The Society has a museum collection of some 45,000 prehistoric, classical and medieval antiquities and paintings that are a key resource for research and learning in archaeology, architectural history, decorative and applied arts, the history of collecting, and the wider study of material culture. We are looking for a Museum Collections Manager to manage the museum collection at Burlington House, develop it as a research resource and increase access. This key role is responsible for all aspects of collections management including documentation, conservation and preservation, loans, and image management. Please visit our website for details and how to apply. The University of Liverpool is appointing a part-time Research Assistant in the Department of Archaeology, Classics & Egyptology. Closing date for applications 30 January 2017. You will work on a Historic England-funded project, Developing a National Framework and Research Agenda for the Historic Built Environment. This is a highly responsible post, which will involve working with the project executive manager Harold Mytum FSA, manager Alexandrina Buchanan FSA and team members Dan Miles, John Cattell and Kathryn Morrison from Historic England. You will have a background and training in architectural history, and ideally already be familiar with development control and the planning process with reference to the built environment. You must have excellent research and writing skills. The post offers a unique opportunity for you to establish a high profile within the English heritage sector, and will involve liaising with senior figures in governmental and private sector organisations, as well as universities, learned societies, and professional bodies. The post is available initially until 31 January 2018. For full details see online. The Leverhulme Trust is currently inviting applications for 2017 Emeritus Fellowships. Closing date for applications 2 February 2017 at 4 pm. The Fellowships enable retired academics from UK institutions to complete a body of research for publication. Up to £22,000 is available for research costs directly related to the project. Fellowships are offered for periods of three to 24 months, and must begin between 1 August 2017 and 1 July 2018. Approximately 35 fellowships are available in 2017. Applicants must have retired by the time of taking up the Fellowship and no longer have a normal contract of employment, but they may hold a part-time position of up to 0.5 FTE. See online for further details. The University of Glasgow is appointing a full-time Lecturer/Curator in Frontier Archaeology. Closing date for applications 7 February 2017. This is a new position. As part of a collaboration between Archaeology (in the School of Humanities in the College of Arts) and The Hunterian, to undertake high-quality research and research supervision, and to make an active and high level contribution to teaching at undergraduate and postgraduate level in Archaeology, to stimulate and activate new levels of academic engagement with world class museum collections held by The Hunterian and to undertake administration as requested by the Head of School. The post-holder will be an expert in the archaeology of frontiers and boundaries, with research expertise in frontier material culture, with theoretical expertise in this area preferable. The post-holder will bring period, preferably but not necessarily Roman, and regional expertise to complement current strengths with the Archaeology subject area and the collections of The Hunterian. See online for full details. 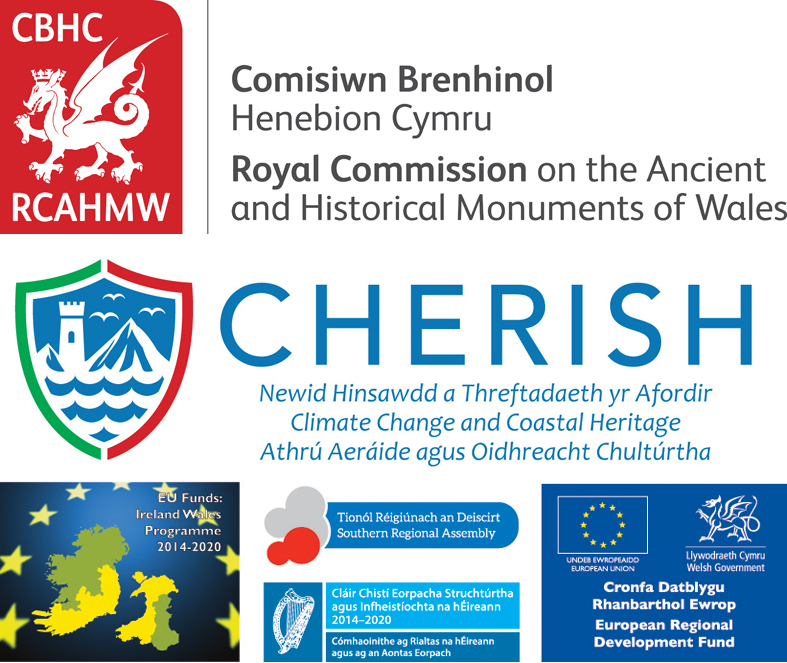 The Royal Commission on the Ancient and Historical Monuments of Wales is recruiting for two posts for a new European Funded Project, CHERISH – Climate Change and Coastal Heritage. Closing date for applications 5 pm 17 February 2017. 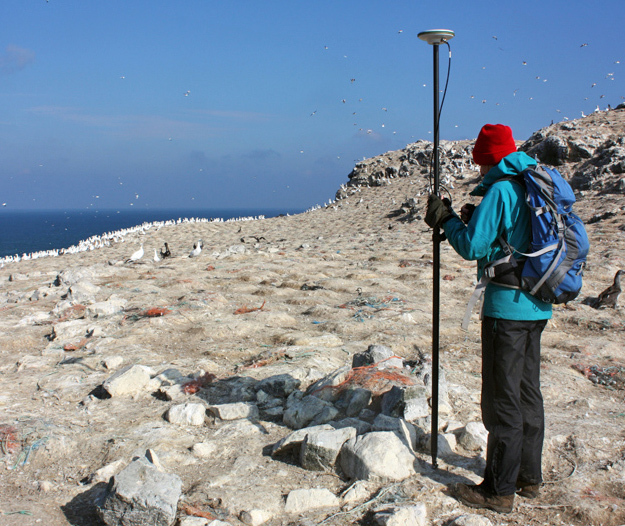 The posts for Project Manager and Investigator (Coastal Archaeology) are both full time, and have a fixed term until 31 December 2021. For full details see online, and above for information on the project, in Fellows (and Friends). Please download and complete the Lecture Proposal Form, and email it to Renée LaDue, the Society's Communications Manager, if you are interested in giving a lecture at one of the Society's Ordinary Meetings (Thursday evenings at 17.00) or as part of our Public Lecture series (occasional Tuesday afternoons at 13.00). We welcome papers based on new research or themes related to the Society's field of interest: the study of the material past. You can view our current lecture programme in the Events section of our website. Fellows are also encouraged to propose topics or themes for conferences or seminars that bring scholars and professionals from a variety of disciplines together to explain, discuss and debate our material culture. Please download and complete the Conference Proposal Form, and email it to Renée LaDue, the Society's Communications Manager, if you are interested in helping us organise such an event.